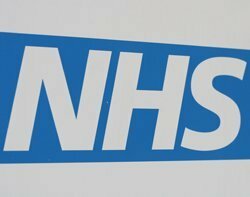 Two NHS IT systems will be moved from BT to be managed in-house by the Health and Social Care Information Centre (HSCIC) from February 2015. The transition is part of a plan to move major NHS IT projects in-house to the HSCIC so they can be managed in a more flexible and responsive way. The two IT systems to move away from BT will be the Secondary Uses Service (SUS) and the Care Identity Service (CIS). SUS – the single, comprehensive repository for healthcare data in England – and CIS, which is the smartcard system used to identify users on the NHS Spine platform, will move over to the HSCIC during specific time slots. The CIS transition will take place from Thursday 19 February to Tuesday 24 February 2015, while the SUS transition will run from Friday 20 February to Tuesday 3 March 2015. Both timeframes have been chosen with minimal user disruption in mind. It follows the transition of the infrastructure behind the critical NHS Spine platform, which was replaced by HSCIC in August 2014. Spine is the nationwide infrastructure that connects clinicians, patients and national applications, as well as storing patient information. It was moved to the new infrastructure in phases, enabling the majority of connected services to continue working and minimising disruption to the NHS and patients. The NHS rebuilt its Spine platform over an 18-24 month period using open-source software. The HSCIC teamed up with IT consultancy BJSS to develop Spine 2 using the Riak open-source database. The HSCIC ran a competitive tender to find its development partner – BJSS – on G-Cloud. It then got approval from the NHS and the Cabinet Office to go ahead with an internal development using open-source tools from multiple suppliers. To support the transition to in-house control, the HSCIC is having to build out its skills base by recruiting developers and operations staff. Speaking to Computer Weekly at the time of the Spine upgrade, HSCIC's director of operations and assurance services, Rob Shaw, said the organisation has faced challenges hiring skilled people. "Being based in Leeds, competition is high because it’s a vibrant city and within commuting distance of Manchester and London,” he said. “Demand outstrips availability at the moment, and we need to make sure people see we’re doing far more through technical delivery."